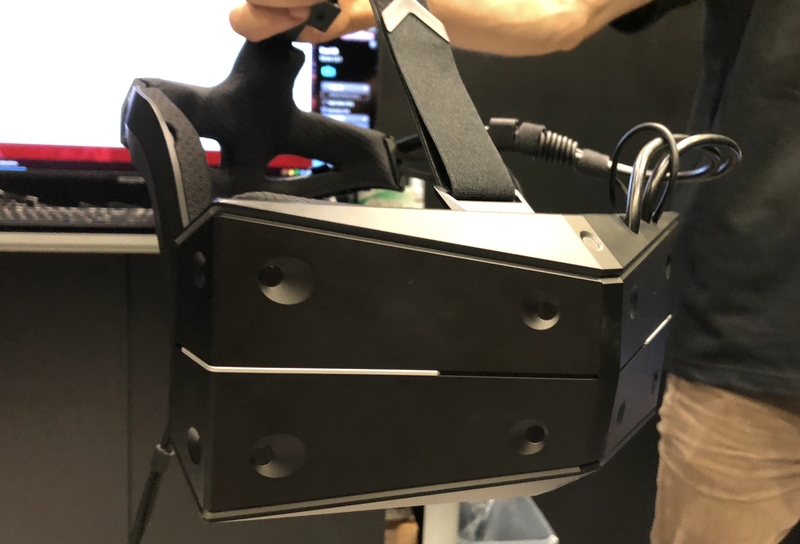 The company announced the new hardware at SIGGRAPH in Vancouver, where I got to go hands-on and eyes-in with the headset. Before you get too excited, though, keep in mind this set is meant for commercial applications — car showrooms, aircraft simulators and so on. What that means is it’s going to be expensive and not as polished a user experience as consumer-focused sets. On Vive and Oculus sets I always had the feeling that I was looking through a hole into the VR world — a large hole, to be sure, but having your peripheral vision be essentially blank made it a bit claustrophobic. In the StarVR headset, I felt like the virtual environment was actually around me, not just in front of me. I moved my eyes around much more rather than turning my head, with no worries about accidentally gazing at the fuzzy edge of the display. A 90 Hz refresh rate meant things were nice and smooth. To throw shade at competitors, the demo I played (I was a giant cyber-ape defending a tower) could switch between the full FOV and a simulation of the 110-degree one found in other headsets. I suspect it was slightly exaggerated, but the difference really is clear. 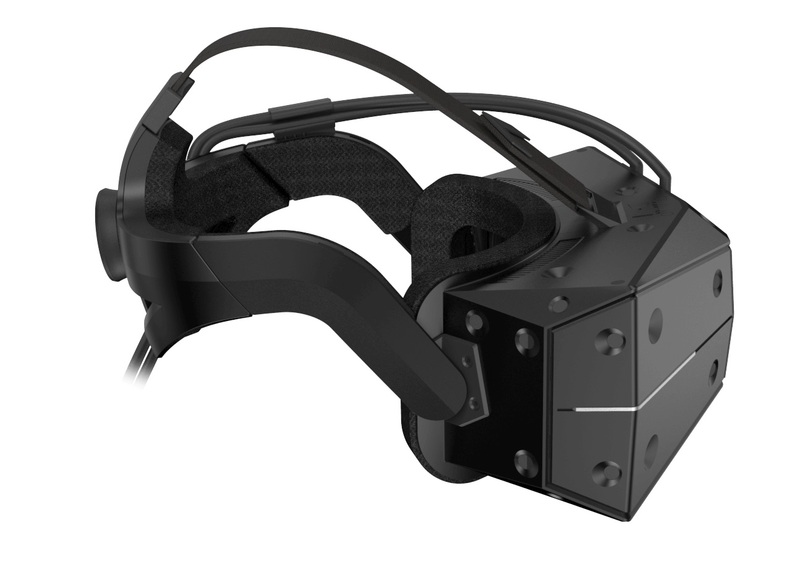 It’s reasonably light and comfortable — no VR headset is really either. But it doesn’t feel as chunky as it looks. The resolution of the custom AMOLED display is supposedly 5K. But the company declined to specify the actual resolution when I asked. They did, however, proudly proclaim full RGB pixels and 16 million sub-pixels. Let’s do the math: 16 million divided by 3 makes around 5.3 million full pixels. 5K isn’t a real standard, just shorthand for having around 5,000 horizontal pixels between the two displays. Divide 5.3 million by that and you get 1060. Rounding those off to semi-known numbers gives us 2560 pixels (per eye) for the horizontal and 1080 for the vertical resolution. That doesn’t fit the approximately 16:10 ratio of the field of view, but who knows? Let’s not get too bogged down in unknowns. Resolution isn’t everything — but generally, the more pixels the better. The other major new inclusion is an eye-tracking system provided by Tobii. We knew eye-tracking in VR was coming; it was demonstrated at CES, and the Fove Kickstarter showed it was at least conceivable to integrate into a headset now-ish. Unfortunately, the demos of eye-tracking were pretty limited (think a heat map of where you looked on a car) so, being hungry, I skipped them. The promise is good enough for now — eye tracking allows for all kinds of things, including a “foveated rendering” that focuses display power where you’re looking. This too was not being shown, however, and it strikes me that it is likely phenomenally difficult to pull off well — so it may be a while before we see a good demo of it. One small but welcome improvement that eye-tracking also enables is automatic detection of intrapupillary distance, or IPD — it’s different for everyone and can be important to rendering the image correctly. One less thing to worry about. The StarVR One is compatible with SteamVR tracking, or you can get the XT version and build your own optical tracking rig — that’s for the commercial providers for whom it’s an option. 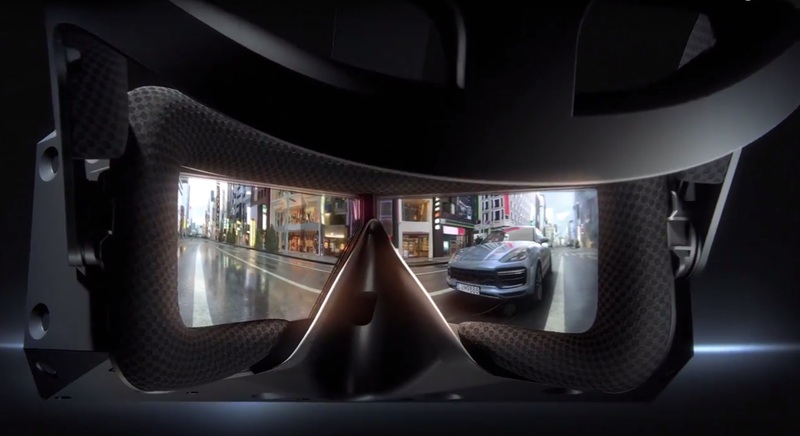 Although this headset will be going to high-end commercial types, you can bet that the wide FOV and eye tracking in it will be standard in the next generation of consumer devices. Having tried most of the other headsets, I can say with certainty that I wouldn’t want to go back to some of them after having experienced this one. VR is still a long way off from convincing me it’s worthwhile, but major improvements like these definitely help.